Calgary United Cabs is Calgary based employee owned upcoming robust Taxi Cab Service in Calgary. Its aim and endeavor is to provide top notch transportation services that are supported by an unparalleled Customer Services to Calgarians. The experience, resilience and commitment of Calgary United Cab’s Drivers, and strong infrastructure with safety supervisions makes it unrivaled and best in class. At Calgary United Cabs, everyone from our drivers to our call center staff and management, strive together to make the best possible experience for all our customers. Calgary United Cabs is the leader in Calgary taxi service and provides exceptional and reliable Corporate cab services. We work with one goal in mind: to get customers where they want to go, when they want to go, promptly, efficiently, comfortably and safely. At Calgary United Cabs we have the lowest rate in the city. This involves providing courteous service in clean, well maintained cars. With technology like our GPS dispatch system, on line booking, and App booking, we can reduce wait times and get to you within minutes. Bank upon our customer service. Our staff is most cordial and will give you unparalleled support. or any other unique transportation needs your business may have. and guests home from Christmas party. and we will be happy to assist you with these details. At Calgary United Cabs, making the customers reach their destination safe and sound is a major part of the services provided by us. Calgary United Cabs offers reliable taxi service to and from the Calgary airport even during rush hour periods. To book call us at 403-777-1111 and an experienced and courteous staff member will assist you with your booking. 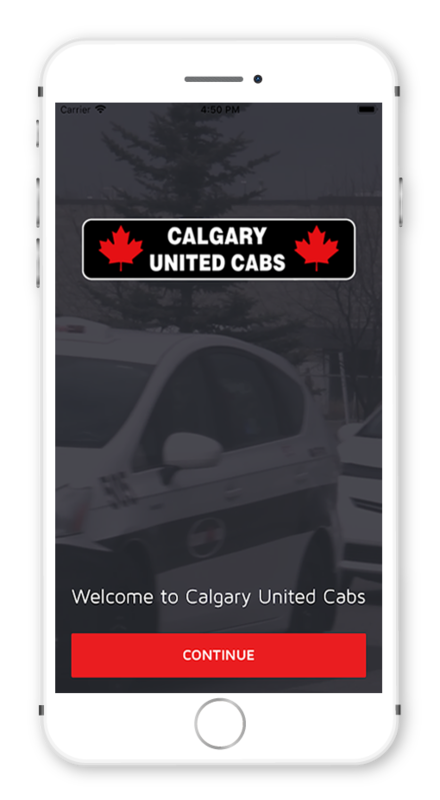 Try downloading our App (Calgary United Cabs) for fast and efficient service. We offer door to door service and specialize in out of town travel. Whether you need to meet a flight, see a doctor, or or just visit family, we can get you where you need to go. Ask us about rates for your trip. If you are looking to travel, even just for fun, we can help with that. Many people enjoy the convenience of a car service when they are looking to meet up with family or friends. We can pick you up when you want and take you wherever you want to go. United Cab’s mission is to offer impeccable delivery services to businesses and individuals alike, whether it be local, national. Our goal is to guarantee our clients a parcel service using the fastest and most efficient way possible while keeping their cost to a minimum.Our vision is to keep our business growing by surrounding ourselves with professionals dedicated to offering the same high standards of service currently available. We are a team of professional drivers in a company that is environmentally friendly and seeking to increase our client base so that more people and companies may take advantage of our courteous service and competitive rates. BEST COMPANI IN CANADA!!! EVEN YOUR ENGLISH IS TERRIBLE , YOUR WILL HAVE HIGH LEVEL SERVICE. THANKS YOU!!! Always works I order and they come also you can track to see how far the taxi is from you. I took a cab from a Christmas party last Saturday night on Dec 2. Upon getting home I realized that I had lost my keys. It was the wee hours in the morning and my cab driver asked if I wanted to wait in the cab (after I had already paid him) while I called a friend to let me in the house. This took a good 20 minutes, of which I would have otherwise been waiting outside in the cold. His kindness and customer service was above and beyond the responsibilities of his job. I regret not catching his name, but wanted to share this great experience nevertheless.